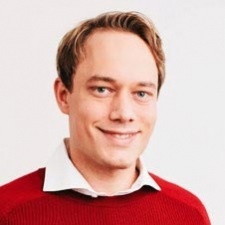 Tim Koschella is the CEO of Applift. Playable mobile ads are popular in the gaming industry because they perform well and users prefer them to other ad formats. This trend will continue next year, and we will also see other industries follow suit, adopting playable and interactive ad experiences for both branding and performance-driven campaigns. This is not the first-time marketers are learning something from gaming, nor will it be the last. 'Gamification' elements make advertising experiences more engaging and memorable. The strength of playable ads lies in the fact that the user gets to experience the app before deciding to install it. This might negatively influence the CTR, but it can increase the CR and LTV. Because people are more likely to use the app after download, playables deliver higher ROAS. Additionally, users who decide not to install the app right after playing the ad have a much higher average time spent on the ad, and thus can be retargeted easily based on the engagement data. Playable ads are preferred by users - second only to the rewarded ads format. While mobile app marketers are most excited about the playable ads format in 2017, currently less than half of app publishers use them. Most ads for gaming apps do not represent the advertised product very well, causing users to often expect something different when they download and open the app. Playable ads, by providing a preview of the game, can minimise this 'expectation gap' and help users actually experience what they will get out of the game. In the example above, you see three different types of playable ads for various games (War Wings, Solitaire and Gardenscapes). App marketers should test different versions of an ad to see which one users prefer. In the Solitaire example, an interactive wizard explaining how to play the game is utilised to walk a user through the rules of gameplay. Ideally, you’ll want to use the ad that will drive the highest conversion rate while providing an accurate representation of what it is like to play the app. Inspired by playable ads’ success in gaming, other marketers are developing their own playable experiences. Non-gaming apps that want to use enhanced storytelling and engage audience through interactive elements are developing their own playable ads. For example, Burger King started leveraging playable ads in 2015 with The Angriest Whopper Game created using the Gamewheel platform. Players try to collect 20 jalapeños in under 20 seconds in order to unlock an exclusive discount coupon, redeemable at Burger King restaurants. By the end of 2016, Burger King had implemented more than four successful campaigns. Playable and interactive ads are also being used in performance-driven campaigns, not only by gaming but also by brand advertisers. as most of them now focus on mobile channels. Brand marketers create ads that let users sample the features they will get if they download the app. For example, an airline could create an ad that demonstrates how easy it is to choose your seats, check in, or check your flight status on its app. Entertainment brands like Paramount started experimenting with interactive ads as published by Gamewheel. 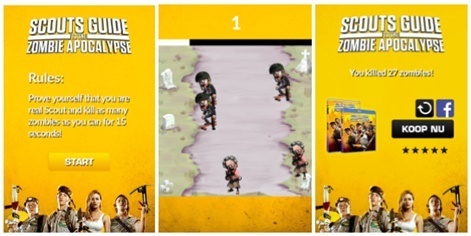 The 15-second game challenges you to shoot as many brain-munching zombies as possible. This immerses users into the idea of the movie and boosts KPIs (like CTR and especially ROAS) since it brings super engaged consumers to likely purchase the DVD. Users spend at least eight times longer on average on such ad experiences. Hong Kong Airlines promoted upgraded flight seats via 360-degree videos that enable viewers to experience premium travel by “walking” through a business class cabin. The brand partnered with the advertising platform Kiosked to create the mobile ad units. The ad had high engagement rates and led to immediate bookings. Another idea for an e-commerce app could be to create an as that allows users to virtually try on clothes and/or easily create wish lists. Just like in gaming, these ads should be fun and designed to maximise engagement while sufficiently representing the app experience. When designing any ad, mobile marketers should keep in mind that vertical video is on the rise. Design your ad for landscape and portrait viewing. Playable ads are still a fairly new and technically advanced format, but this year we should see more marketers and publishers, across a wide variety of verticals, get serious about how they can utilise playables, as well as other types of interactive ads. I'm interested in learning more about your solution. I'm working at a small gaming studio and we were very interested in running a Playable ad campaign, in fact, we have developed one. Yet the prices that ad networks charge for running those ads are exorbitant. Thus I want to ask the community if you know an ad network that has a more flexible advertising policy for playable ads? No need to preload thousands of dollars and I could choose the budget myself. We have a great playable ad solution which is much more appealing - contact me.